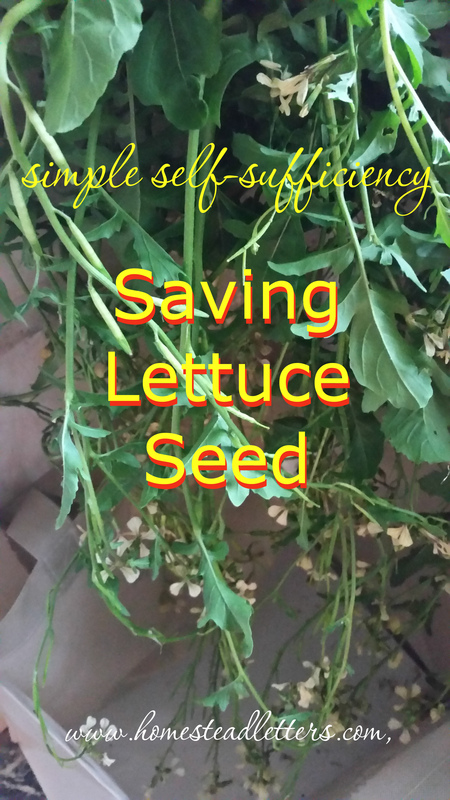 I am trying to do something I have never done before in my backyard homesteading endeavor: saving lettuce seeds. I planted enough lettuce this year that I could leave some in the garden for seeding purpose and not eat it. 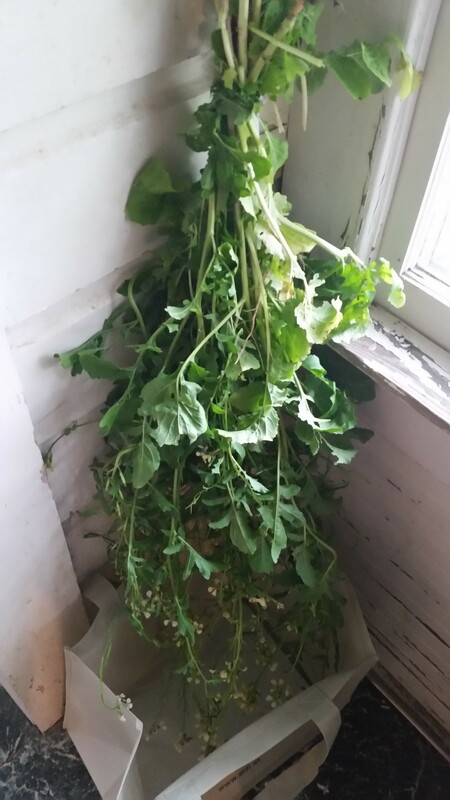 Once the heat struck, the lettuce bolted. Flowers on your lettuces is an instant sign your lettuce has bolted and be pretty bitter and inedible. Sometimes if you plant it late it happens with little harvesting time. However, don’t worry. Your planting wasn’t a total waste. Save the plants for seed! Leave them in the ground and two to three weeks after bolting, it will be time to harvest seed. Some lettucegreens will have flowers and the seeds will be in the billowy dandelion like fluff. 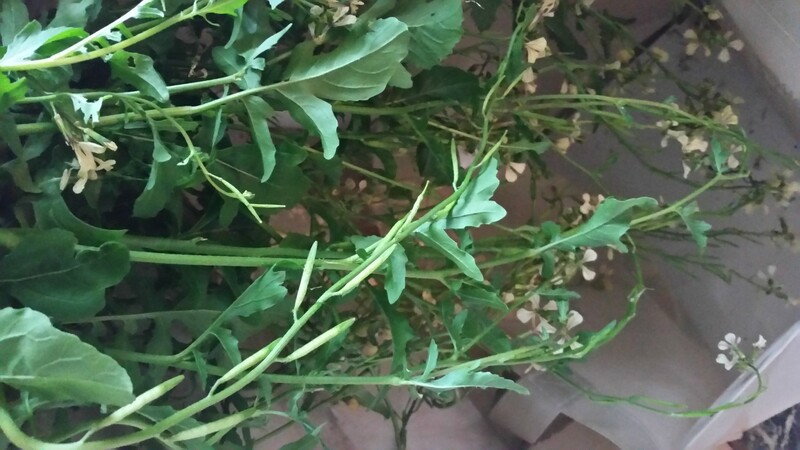 Harvesting is the same with seeds in flowers or like these greens, formed pods which hold the seeds. Watch your plants to know when it is ready. For podded seeds, the sign that it was time to pull the plants was there were black seeds on some of my other plants growing underneath these now three foot tall lettuce plants. Once one pod pops, it is time to watch really intently, and it might just be time to pull them for drying. As you can see here, the pods look like they are going to pop any moment, so I pulled them. Once pulled, you bind them together and hang them upside down to dry. I put an Aldi’s bag underneath to catch the seeds. The bag is great because it is white and you can see the seeds and it stands up on its own to catch the seeds. Once the plants are brown they will be fully dry and the seed pods should crack open and release next year’s seeds. I’ll keep you posted on the progress.